Our students are a diverse talent pool of smart, entrepreneurial and highly employable students. 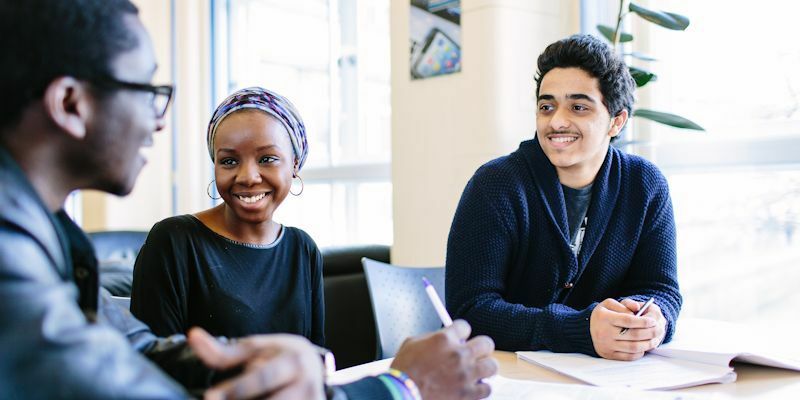 We provide our students with an outstanding education alongside opportunities for work experience, cultural exploration and extra-curricular activities. Our students’ knowledge encompasses geology and geophysics, environmental and atmospheric sciences, sustainability and business – their employable skills span many industry sectors. All businesses have access to our dedicated Employability Team who work with students seeking industrial opportunities – so if you want to employ an Environment student or an Earth Sciences student, we can find the right candidate for you. We are always open to innovative ways of working with external partners to enhance the professional development of our students and look forward to working with you. For more information, download our Employer Engagement Brochure. Our Employability Team focuses on delivering a comprehensive work placement support service to both employers and students. With many employers choosing to permanently recruit their former placement students from the University of Leeds, this can act as a graduate pipeline to find new talent. Get in touch to find out more about our Year in Industry scheme. We’re keen to support organisations like yours to find the next generation of talent. We can offer you a managed internship vacancy service if you’re advertising exclusively with us, and are looking for help with a particular project or if you’re in need of some additional support during the summer months. Our support with identifying requirements for your summer project – putting you in contact with academic leaders where required. Hosting of interviews on campus. Management of the offer process. Recruitment process managed by our Employability Team. Projects delivered in a cost-effective manner. Investment in a potential future recruit to your business. Careers fairs provide the ideal opportunity to meet our students face to face and to network with other industry professionals in your sector. We hold a STEM Fair every October for Faculty of Environment students alongside the Faculties of Engineering, Maths and Biological Sciences. The fair is attended by approximately 1,000 students across the disciplines and we vary costs of stands depending on whether you are an SME, charity or larger organisation. The deadline for our weekly newsletter is Monday to feature on the Wednesday of the same week. Every year we invite employers and alumni to the Faculty to talk about their careers and opportunities within their current organisation, either as part of our year 2 careers modules where you will present to up to 200 students, or on an ad hoc basis. Direct contact with employers really helps students to start to focus on future career choices and appreciate how the skills they are learning throughout their degree apply in the world of work. It also presents you as an employer with a great opportunity to promote your business and any work experience opportunities. We can fit ad-hoc talks around your busy schedule and are happy to reimburse travel expenses where appropriate if you are presenting as part of a taught module.